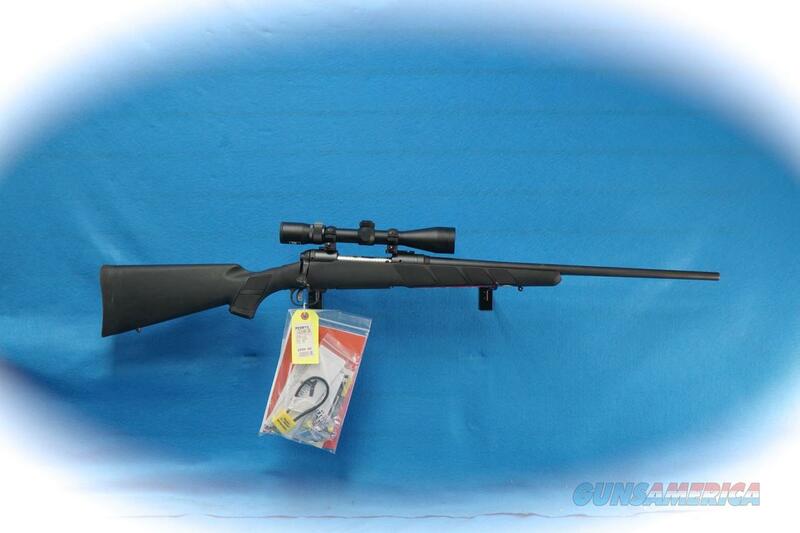 Description: Savage Model 111 Trophy Hunter XP, bolt action rifle with factory installed Nikon 3-9x40 BDC scope. This rifle is as new, unfired, no box. Take the guesswork out of buying a rifle, scope, bases and rings. The Model 111 Trophy Hunter XP offers flawless, affordable performance right out of the box with the user-adjustable AccuTrigger™ and a factory-mounted, bore-sighted 3-9x40mm Nikon® scope. I has a rugged synthetic stock and a carbon steel, button-rifled barrel.